Little Miss Ava is one of the strongest babies I have met! Able to hold her little head up and move with determination at only 11 weeks! I wouldn’t be surprised if she is walking next week. She is one determined little girl and clearly wants to get on with this growing thing. 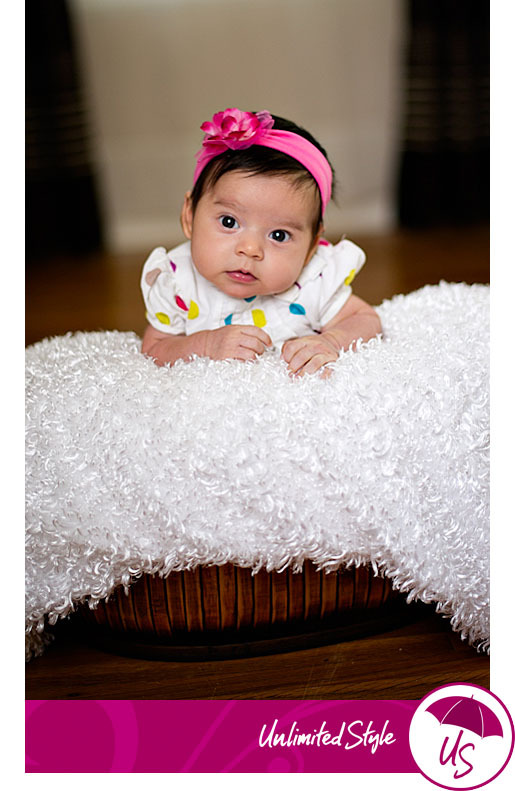 The doctor told mama to never leave her in a car seat or swing without the buckle – even at a week old! Watch out mom and dad, she definitely is an over achiever. 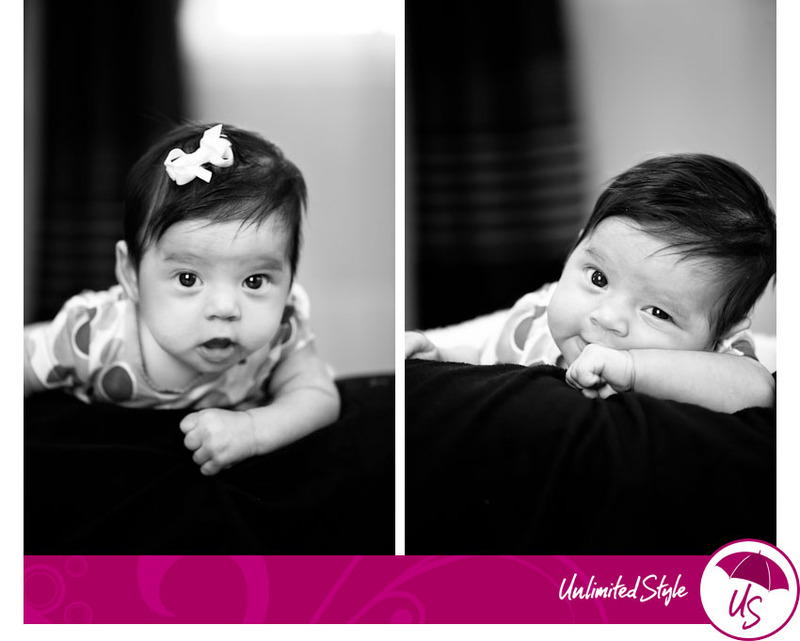 We also did a shoot a few weeks ago of Ava with her parents. I will post that soon so you can see how good looking this family is. Talk about some good genes for little Ava. Gina and Chris just bought a house in San Gabriel, so I went to check it out and take a few more pictures of Ava. 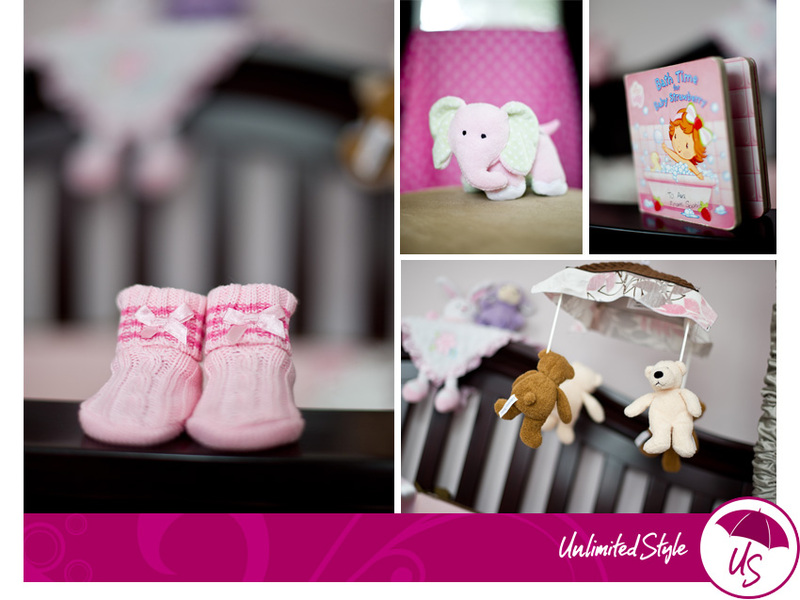 The great thing about doing babies at home is all the fun details. Of course Ava’s room was picture perfect. The bedding on her crib would make The Luxe Hotel look like Motel 6, and I can’t wait until she is my size so I can borrow her closet full of stylish clothes. Now that’s a girl after my own heart. We really love this family and can’t wait to hang out! Of course I love the creativity and art of photography, but I also love meeting the coolest people and making new friends!